1974 Robert P. Ross Sr. was chosen to participate in General Motors’ 1st Minority Dealer Academy where he was the first graduate of the academy to be approved as an automobile dealer. Mr. Ross then purchased his first dealership, Vivian Buick, Opal and International Harvester Trucks in Richmond, Indiana, a dealership where he had worked as a lot attendant as a teenager. He was the 1st African-American to own an International Harvester franchise. 1979 Mr. Ross became the 1st African-American Owned Mercedes-Benz dealer in the world after 5 years of successful ownership in Richmond, IN he purchased Centerville, OH based Davis Buick and Mercedes-Benz. 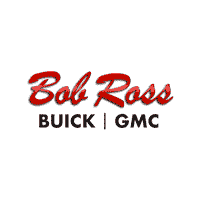 1982 In an effort to further bolster his already successful Centerville Buick/Mercedes-Benz dealerships Mr. Ross purchased the dealership’s current GMC Truck franchise. 1984 Ross Motor Cars-Mercedes Benz started construction, The new Mercedes-Benz showroom allowed Mercedes-Benz sales to be exclusive of the other Ross franchises for the first time in the Auto Group’s history. 1990 Ross Motor Cars (Mercedes-Benz) completed construction of its new Service and Parts facility. In addition to creating a stand alone dealership this allowed Ross Motor Cars to better serve its Mercedes-Benz clients by providing more extensive Mercedes-Benz Sales, Service and Parts from a single convenient location located directly adjacent to the Buick/GMC property. 1995-1996 The Bob Ross Auto Group completed construction of a stand-alone GMC Truck facility (1995) and renovated the Buick dealership (1996). The Buick dealership’s new features included generous showroom space as well as one of the area’s finest New Vehicle delivery areas. 1997 The Ross family (Norma J. Ross (wife), Jenell Ross (daughter) and Robert Ross Jr. (son)) rallied together to continue the legacy, after the untimely passing of Robert P. Ross Sr.
1999- 2002 Under the leadership of Norma Ross the dealership was named one of the “Top 100 Companies in Dayton,” and “Auto Dealer of the Year from “Black Enterprise Magazine.” Thanks to her community leadership, care for her employees, and strong sense of business Norma was chosen as one of three Presbyterian women who received the women of “Faith Award,” in the United States. 2003 Earlham College named and dedicated an office in the African and African American Studies department in Norma’s honor. The United States Department of Minority Business Development Agency (MBDA) presented her with the “National Minority Female Entrepreneur of the Year” award for both Ohio and the Ten-State Region of Chicago. 2008 The National Association of Minority Automobile Dealers (NAMAD) names Norma Ross their “2008 NAMAD Woman of the Year”. Additionally, the Dayton YWCA honored Norma Ross their “Women of Influence” based upon her contributions and commitment to her community. 2010 Jenell Ross assumes responsibility of The Bob Ross Auto Group after the untimely passing of her mother Norma J. Ross. 2011 Ross Motor Cars changes their name to Mercedes-Benz of Centerville and re-opens a newly renovated state of the art facility. Under the leadership of Jenell the dealership received the “Automobile Dealer of the Year,”award from “Black Enterprise Magazine.” In addition Jenell ranked in the Top 20 teams nationally for the (over $22K) funds raised for the American Breast Cancer Society Making Strides Against Breast Cancer Walk. 2012 Featured in Who’s Who Publication, “Driven II” a Tribute to African-American Woman Achievement in the Automobile Industry. Welcomed Bob Ross FIAT to the family, and opened the FIAT studio. The Bob Ross Auto Group completes renovations. 2013 Jenell Ross is named Chairwoman of the American International Automobile Dealers Association (AIADA). 2014 Bob Ross Auto Group celebrates 40 years of Buick sales and 35 years of Mercedes-Benz sales. A party was hosted in June by Jenell Ross as a thank you to customers and supporters for their loyalty over the last 40 years.